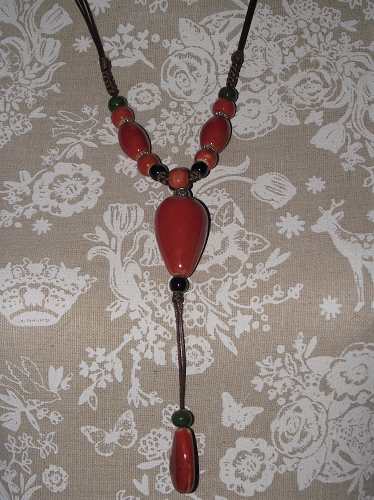 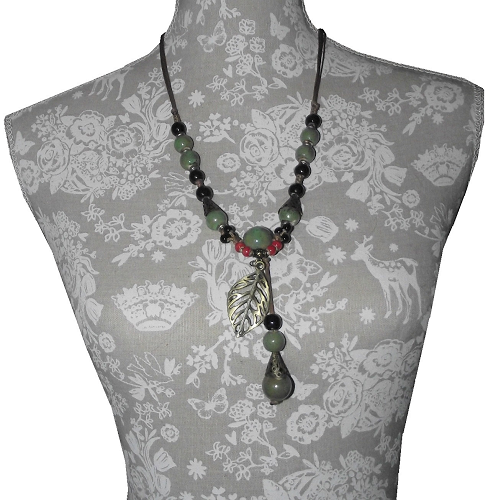 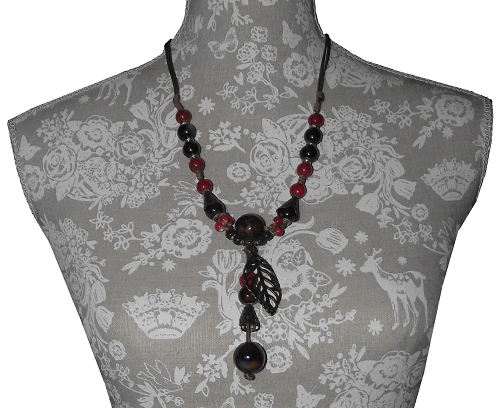 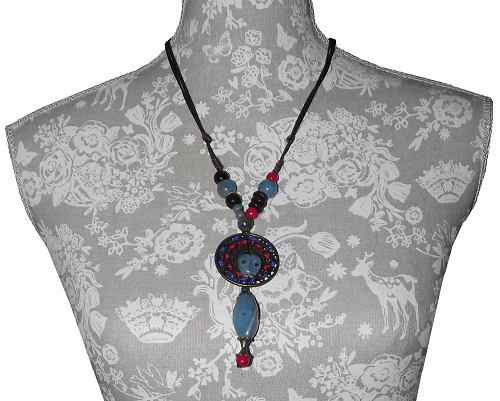 Ceramic bead fashion necklaces with assorted size beads beautifully hand painted in black and strawberry red colours. 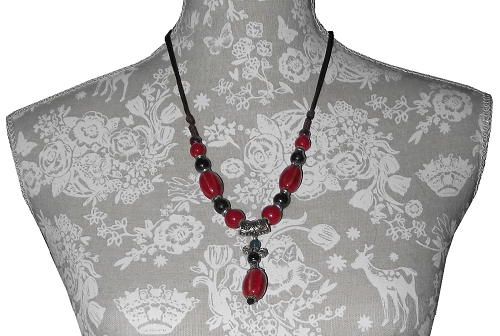 The silver colour spacers that separate the beads are decorated in an oriental style. 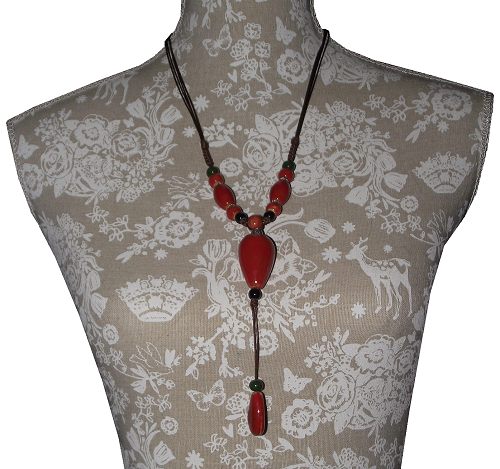 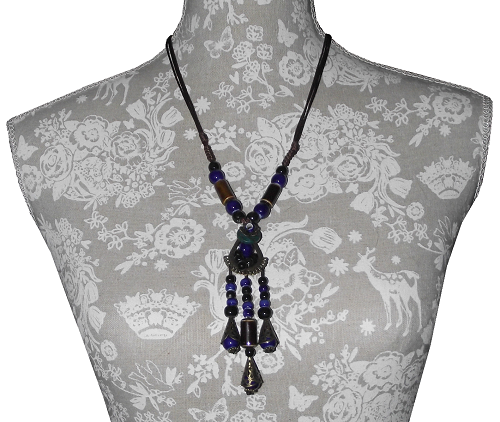 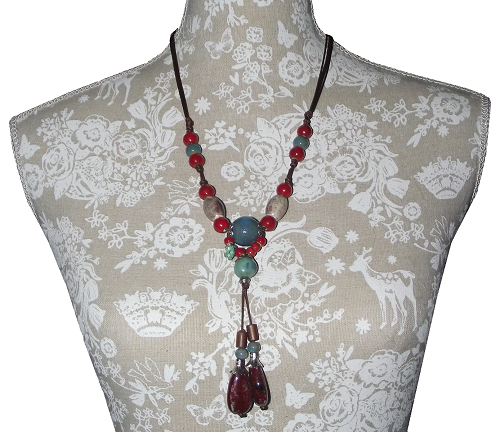 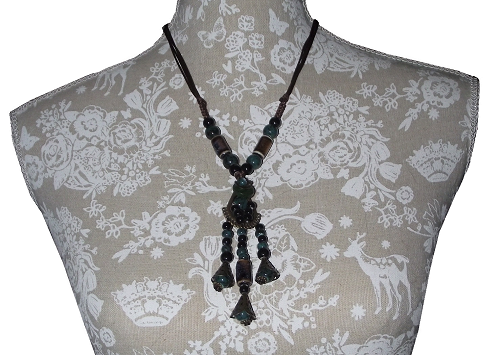 The hand painted ceramic beads and spacers are strung onto a fully adjustable traditional Chinese slipknot cord.